From A. L. Shields pseudonym for New York Times best-selling author Stephen L. Carter comes a thrilling new series about a secret war between the forces of faith and those who would destroy it. In the first volume, small-town lawyer Bethany Barclay, struggling to piece together the final months of her best friend s life, becomes the pawn of both sides. Only a few in the Garden realize that there s more at stake than the artifact the Wilderness is seeking. But as Bethany discovers that she s a tiny part of a larger war, can she trust the Builder to save her? Or will he sacrifice her for the sake of the cause? Don t miss this provocative tale by a craftsman at the top of his game. 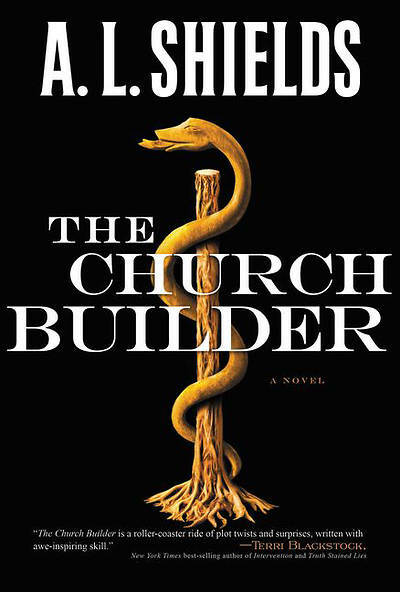 Besides being riveted and entertained, you will be challenged by The Church Builder to think in new ways. Jerry B. Jenkins, novelist & biographer. Owner, Christian Writers Guild.